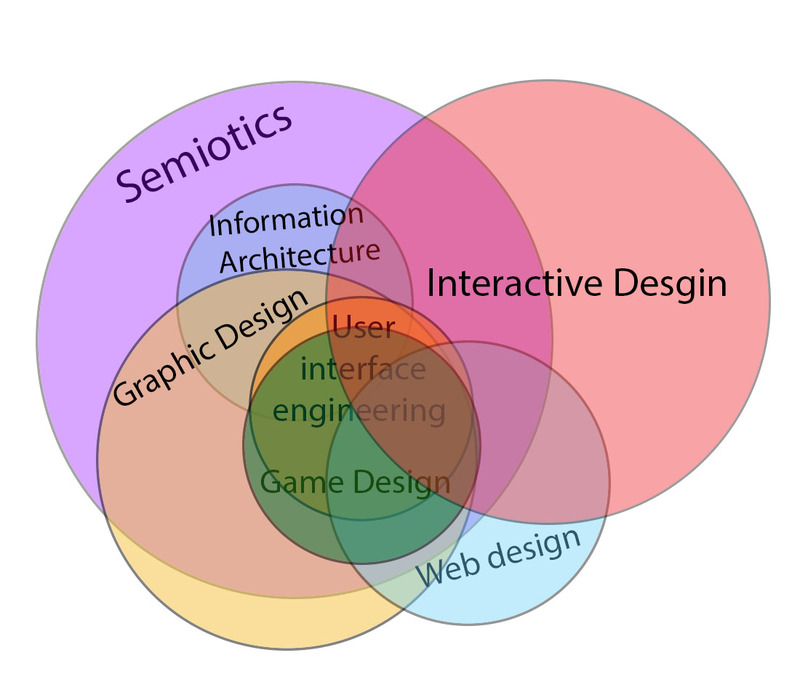 Interactive design and relationship to other fields. 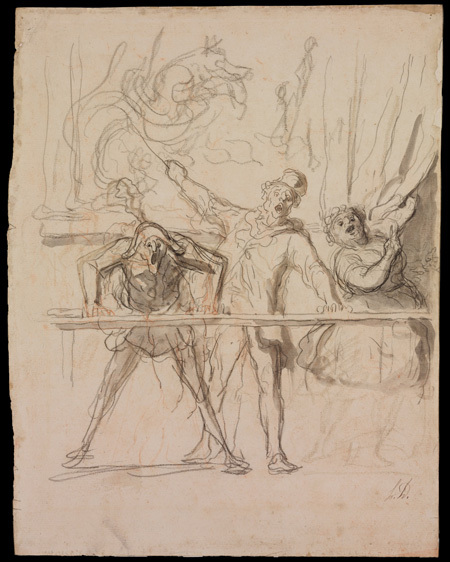 There are a slew of incredible submissions this year proposed by creative library and museum professionals. You can help put libraries, archives, and museums (LAM) at the forefront of this ideas-exchange by voting for LAM presentations in the SXSWi Panel Picker from Aug. 19-Sept. 6, 2013, at http://panelpicker.sxsw.com/. Below is a list of sxswLAM panel proposals and well as sxswLAM-related panel proposals. You can also do a search by keyword in the Panel Picker for “library” or “libraries”and there are dozens more. If you believe that librarian voices need to be heard, even if you’re not attending, we need your vote to make it happen at SXSWi 2014. Technology Vision. Technology Power. Your Library. Libraries compete with online information resources in much the same way the traditional retailers compete with online sellers. Question ~ How will libraries adapt over the next ten years? Discussion ~ My work in managing/developing online catalogs – with 20,000+ medical equipment / supply products and 7,000+ multi-website display products exceeded what library catalogs do and from an SEO standpoint would beat out Amazon for Google placement. 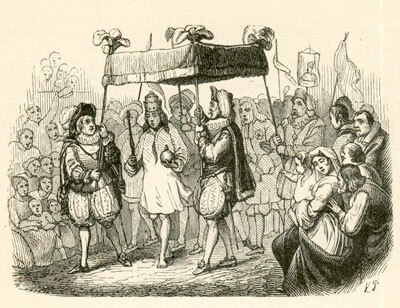 Traditional retail could not compete because of delivery and cost. BestBuy is a great place to put your hands on tech, but the prices are much higher. As e-commerce websites become more and more user-friendly – where you have good photos of products and good descriptions, the whole process ends up making all products into commodities with the lowest cost determining purchase. 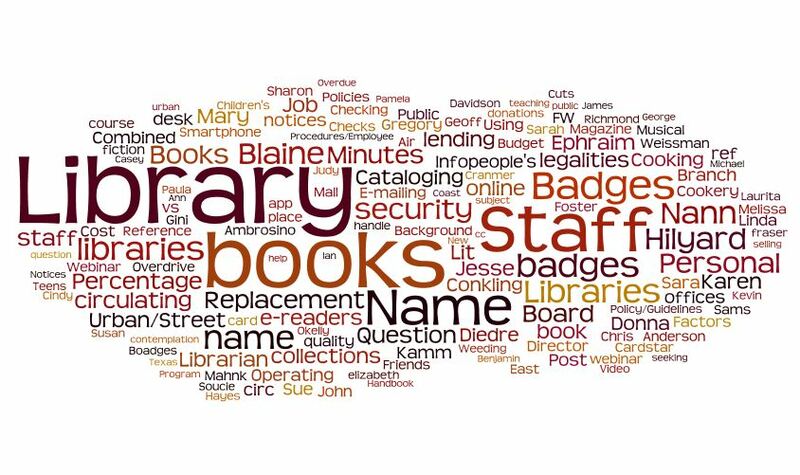 With libraries, the focus has generally been on maintaining the status quo and keeping current bureaucracies in place until they can retire. This is not any different for any other bureaucracy – it is a natural inclination – not library specific to simply maintain. With the focus on cost of maintaining services though, without innovation the perception of value diminishes. One of the best things I have seen recently in libraries is the introduction of Makerbots as a library resource. It is those sorts of high-priced shared resources that extend the value and bring people inside the library systems. But, the issue does become lowest cost. As we see transportation cost rise, the casual trip to the library could cost $10 in gas. What would $10 purchase virtually? The associated costs of operating libraries – broken down between the people who continue to use them and the disproportionate number of people who don’t would add additional cost to each real visit. As information becomes a commodity the lowest cost will determine where we purchase. That does not mean that the value of libraries as a sense of place and source of inspiration does not add a real value to information consumption. 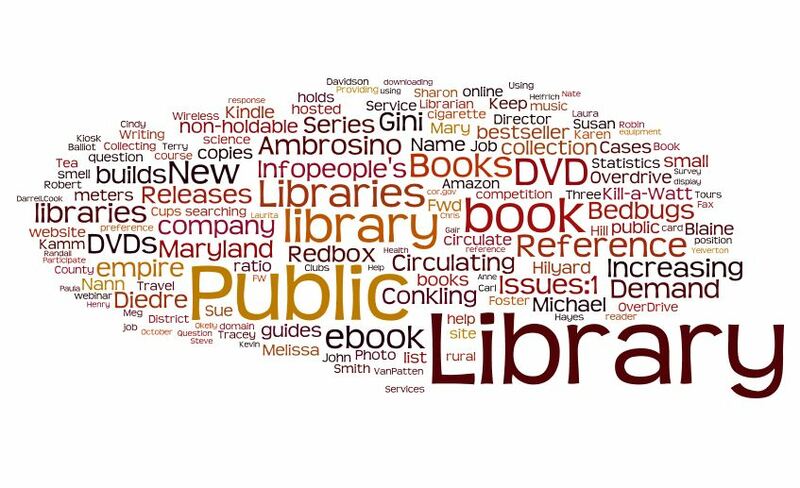 This graphic image or word cloud was created using Wordle. It is derived from the subjects and authors of postings in PubLib for September 2011. The size of the graphics is directly related to the number of un-weighted unique occurrences each month of the individual words represented. Most automated graphic processes that generate these types of word clouds use additional weight for H1 – H6 tags through feeds. These graphics are not processed with H1 – H6 tags. 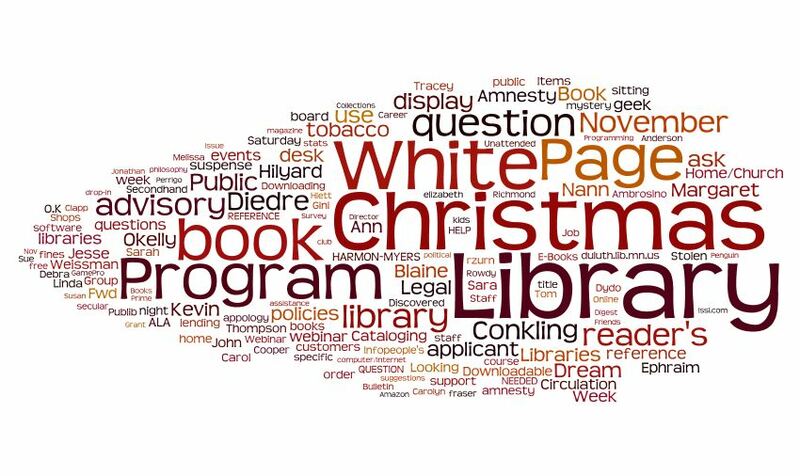 The titles and authors were copied to Notepad and stripped of all HTML before being run through the Wordle Java platform. The process is case-sensitive so Library is not the same thing as library. Some of the more active threads include: a continued discussion of LSSI from August , Amazon in Competition with Libraries , Book or E-book, Bedbugs , and an assortment of DVD Issues. This graphic image or word cloud was created using Wordle. It is derived from the subjects and authors of postings in PubLib for August 2011. The size of the graphics is directly related to the number of un-weighted unique occurrences each month of the individual words represented. 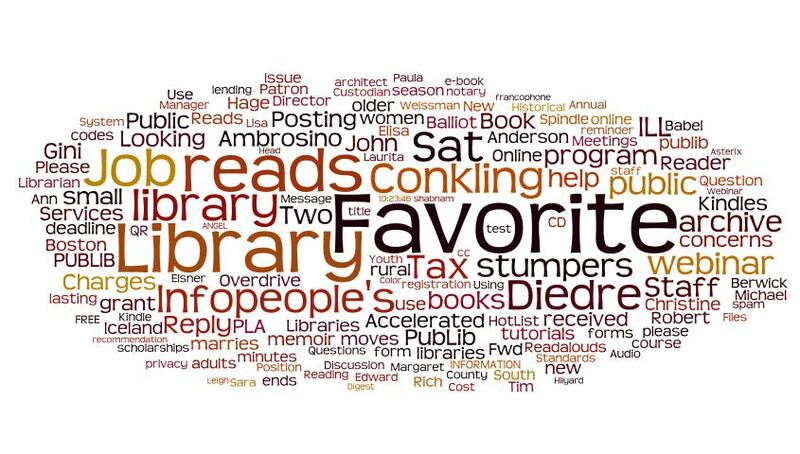 Most automated graphic processes that generate these types of word clouds use additional weight for H1 – H6 tags through feeds. These graphics are not processed with H1 – H6 tags. 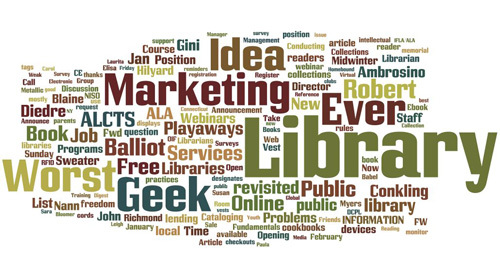 The titles and authors were copied to Notepad and stripped of all HTML before being run through the Wordle Java platform. The process is case-sensitive so Library is not the same thing as library. Some of the major topics discussed included Personal Security, Staff Name Badges, e-book lending legalities, and Urban – Street literature collection development.